Scott Sabella, PhD, is an assistant professor in the Department of Counseling, School and Educational Psychology (CSEP) within UB’s Graduate School of Education. His primary research agenda focuses on program management, counselor supervision, and leadership within public rehabilitation agencies. Additionally, he has recently authored articles related to the removal of barriers to community participation of people with disabilities and the support needs of people with brain injuries. 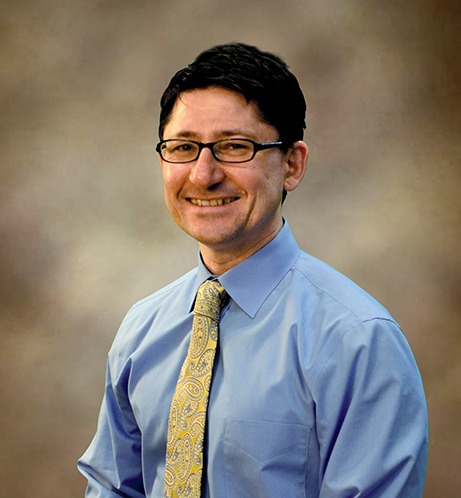 His clinical counseling interests include group work, motivational interviewing, and existential counseling strategies and techniques to enhance quality of life for individuals with disabilities. Sabella, S. A., Andrzejewski, J., & Wallgren, A. (2018). Financial hardship after brain injury: A brief scale for family caregivers. Brain Injury. Advance online publication. doi:10.1080/02699052.2018.1469168. Content expert for the federally funded National Clearinghouse of Rehabilitation Training Materials. This 5-year project will continue until 2020. I served as a Summit Navigator for the Summit Group on Performance Management in Vocational Rehabilitation. In this capacity I reviewed conference applications for years 2015 to 2018, collaborated with RSA technical assistance center projects, assisted with community of practice strategic planning, and implemented a research project investigating the competencies for program evaluation specialists in state VR agencies. Research consultant for the Rocky Mountain Americans with Disabilities Act Education Center. This is a National Institute on Disability, Independent Living, and Rehabilitation Research project funded through the U.S. Department of Health and Human Services. I am serving as an advisory board member for the Workforce Innovation Technical Assistance Center. This is a federal Department of Education grant led by the Interwork Institute at San Diego State University which provides technical assistance and training to state vocational rehabilitation agencies in order to meet the requirements of the Workforce Innovation and Opportunity Act. I served as a Summit Navigator for the Summit Group on Performance Management in Vocational Rehabilitation. In this capacity I reviewed conference applications for years 2015 to 2018, networked with Rehabilitation Services Administration (RSA; within the Department of Education) personnel, collaborated with RSA technical assistance center projects, developed needs assessment surveys, assisted with community of practice strategic planning, and implemented a research project investigating the competencies for program evaluation specialists in state VR agencies. From 2014-current, I have served as a research consultant for the Rocky Mountain Americans with Disabilities Act Education Center. This is a National Institute on Disability, Independent Living, and Rehabilitation Research project funded through the U.S. Department of Health and Human Services.